Check out our latest meetings and events promotions to enjoy exclusive deals and just about everything else you desire. Our conferencing experts will customise packages that best fit your requirements. We are excited to spill the beans on our free conference upgrade for 2019. 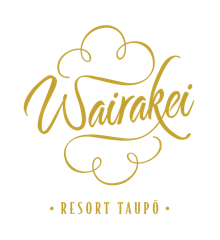 Your meetings at Wairakei Resort Taupo will now include complimentary and authentic Nespresso coffee, freshly brewed at your fingertips, for the duration of your event. Keep your delegates caffeinated with our commercial dual Nespresso machines, complete with a selection of coffee options from mellow decaf to intense aromas. To celebrate this conference upgrade - and for a limited period only, we are offering a FREE Nespresso Essenza Coffee Machine for you to take back to your home or office with any event booked with us before 31st August 2019. * If you are looking for the extra jolt to book your next conference or event, there is no better time than now! Contact our Meetings and Events team for more information at +64 7 374 9004 or simply send us an email. *Offer available for groups of 50 or more paying delegates and new enquiries only.